In a blender, add all ingredients. Cover and blend until smooth. If the mixture isn't blending enough, add in a tablespoon at a time of orange juice until the mixture blends consistently. 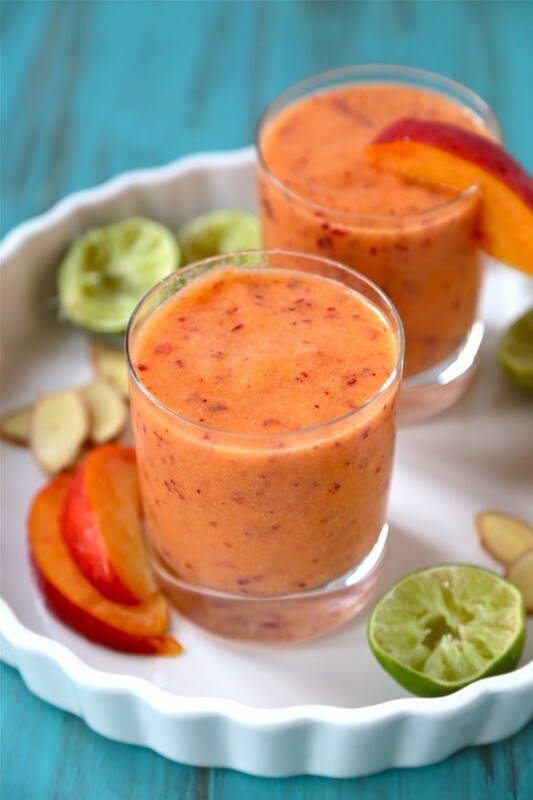 Pour into to high ball glasses and garnish with additional slices of peaches. Serve immediately. 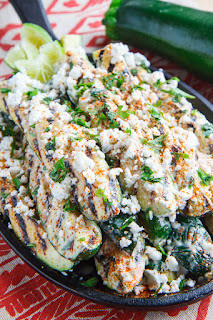 Grill the zucchini over medium-high heat until just tender, about 2-3 minutes per side, brush with the mixture of the butter and mayo, sprinkle on the cheese, cilantro, cayenne and lime juice and enjoy! Preheat oven to 350°F and line a 9x9 baking dish with parchment paper. In the bowl of a stand mixer beat together the butter, sugar, and salt on medium speed until creamy using the paddle attachment. Beat in the vanilla. Turn the mixer to low and slowly add the flour, beating just until the dough becomes smooth and the flour is incorporated. Press half of the dough in the prepared baking dish. Press the dough evenly to form the bottom layer. Spread the Biscoff over the dough. Sprinkle the top with raspberries. Use your hands to make the crumbs for the top crust, pressing the dough to hold it together into small chunks. 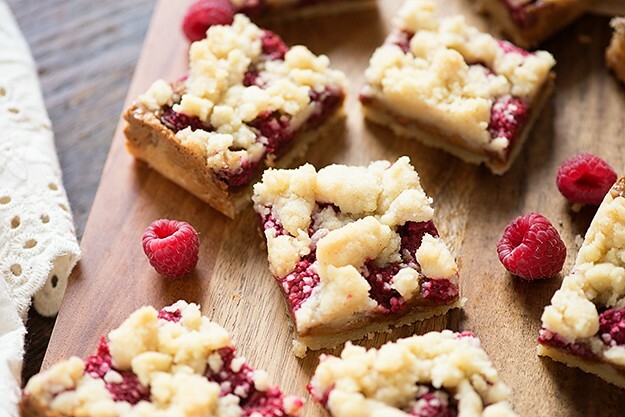 Sprinkle over the raspberries to form the top crust.